Extermination Services is owned and operated locally in Toronto with over 20 years experience, serving all Commercial industries and Residential clients. Every pest problem is unique, there is no “cookie cutter” way to pest control. Proper inspections, and Experience will determine results. It doesn’t matter if you are in a Home, or you are in Manufacturing plant, pests get in. 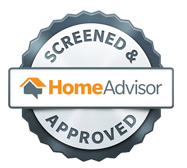 We inspect all jobs prior to treatment to determine the best treatment methods. 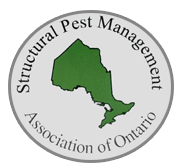 All chemical applications are done by licensed Professionals with a MINIMUM of 15 years experience, using Modern day Environmentally conscious Pest Management Techniques. So why choose Extermination Services? We are not only protecting your home or business, we strive to protect our ever growing fragile environment with approved Pest Management techniques and chemicals. Competitive pricing, why pay the large Corporations big bucks? Support a local business, we are passionate about Pest control! Keep more of your hard earned dollars in your pocket! We have used this pest control service in our commercial business for about a year now and the service has been excellent. They are proactive and responsive and address any possible problems before they even start. Maintenance is done regularly and they are always friendly and professional. We had a raccoon problem that had been going on for a few weeks and after realizing it wasn't going to go away on its own we decided to contact a professional. Derek came the very next day, performed a thorough assessment of the problem and looked for damage on the roof and balcony where the raccoon liked to frequent. He was very patient and knowledgeable, answering all our questions and addressing all concerns. He gave us some options and his professional opinion on which was the best one for our situation. He repaired the the damage from the raccoon, screened off any openings, bought and helped us install a pest control machine and cleaned up the area afterwards. Would highly recommend him to anyone. We have noticed a number of carpenter ants in the house. I knew Derek because he also does pest treatments in our office so I called him. When he arrived he was professional, pleasant and answered all of our questions. He was extra careful with the chemicals he uses as he knew we have a kid and a pet in the house. The problem is gone. Thank you, Derek! We called Derek to get rid of a wasp nest that had been growing in front of our front door. He was easy to get a hold of, and extremely friendly and knowledgable over the phone. We didn't feel rushed at all; neither did we feel like we were just another client on his to-do list. We scheduled an appointment the next day, and he showed up promptly to take care of the nest with the ease of an experienced professional. He generously offered to come back if the problem wasn't resolved within 3-4 days. He even checked up on the nest to make sure the wasps were truly gone while we were away from work. That was very kind of him, and we appreciated it. We no longer have a wasp problem thanks to Derek's expertise. We would highly recommend Derek to anyone dealing with pests. He demonstrated incredible skill and is a pleasure to work with.